Finding the answer to this question really boils down to your requirements. Let’s look at a few factors to guide you in this decision making process. Think about the amount of 3D scanning work you need to do in the foreseeable future and see if service work is a more cost-effective solution for you compared to purchasing a 3D scanner. For example, you should consider hiring a service bureau if you need 3D scanning temporarily or if you have a seasonal need. While it might seem easier for someone else to handle the scanning portion of the project, the cost of using 3D scanning service work can add-up if you are a frequent user or if you have a lot of objects to scan for a particular project. 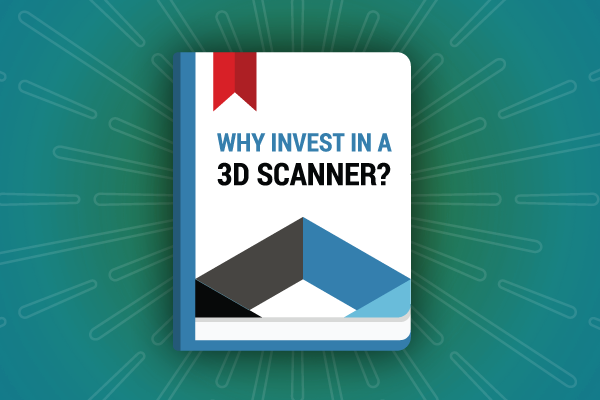 3D scanners, even professional systems, are now more affordable than ever before. If you want to embed 3D scanning capabilities into your operations, you should consider buying a 3D scanner, as it can become a valuable asset in the long run. If you have many of the same type of objects that need to be scanned, purchasing a 3D scanner to do the work might make the most financial sense. Having 3D scanning in-house provides you with more flexibility as you can use the scanner whenever you need it. If you hire a contractor or a company to do the service work, you have to take into consideration the extra time needed to ship parts back and forth, or the time it takes to correspond with your service provider to make sure they understand your requirements. Do you need your object scanned immediately? If so, finding a company that does 3D scanning service work might be your best option. If you need to do 3D scanning frequently and you have some time before you need to use the equipment, then it opens up the possibility of investing in a 3D scanner. Sometimes, you just want someone else to take care of 3D scanning for you so you can focus on your expertise. If you require additional services such as reverse engineering work (e.g. creating CAD models from scan data) and you don’t have that technical expertise in-house, you can hire a service provider to help you with the work. Buying a 3D scanner makes technology more accessible. 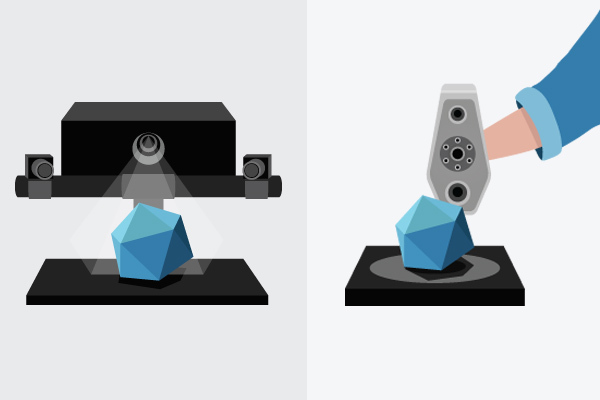 By having a 3D scanner in-house, your company can use it on demand whenever you need it. Purchasing a 3D scanner also gives you with the control of configuring the 3D scanning process to how you want it to best fit into your business processes. Having 3D scanning in-house provides a tighter control to the security of the scan data. If it’s sensitive information (e.g. scan data related to patient information) you don’t want to disclose outside your company, bringing 3D scanning capabilities internally might be the key. There are certain applications where you need to buy a 3D scanner in order to integrate it as part of your operations. For example, if you are looking to constantly inspect manufactured parts every day in your production line, buying a 3D scanner makes the most sense—logistically and financially. If you’re looking to scan artifacts at archaeological sites all around the world, it would be more convenient to travel with your own 3D scanner. Typically, a specific 3D scanner is good at scanning certain types of objects or objects of a similar size. For example, you would need a different scanner if you are scanning a room versus scanning consumer products or manufactured parts. If you have to scan a few parts varying drastically in characteristics or size, you would need a range of 3D scanners to do the job. In this case, hiring 3D scanning services would be the cost-effective option if you’re not scanning in volume. Service companies have the 3D scanning expertise from doing this type of work for a long time. If you have a demanding 3D scanning project that requires a strong level of skills and expertise to pull it off (e.g. scanning a train to inspect it for wear and tear), hiring 3D scanning services would be your best bet. Buying a scanner empowers your staff by developing 3D scanning expertise in-house. 3D scanning is a versatile technology. By having the accessibility of the technology in-house, it drives innovation. Employees have the means to experiment with 3D scanning to create value beyond its intended use. Budget is a big influencer on whether you should buy or hire. If you have the budget to purchase a 3D scanner, you can find a solution that is customized to your exact needs and specifications. If you have a tight budget and consumer-grade 3D scanners won’t provide you with the scan accuracy and resolution you need, you can hire a 3D scanning service bureau with high-end equipment to produce high quality results. 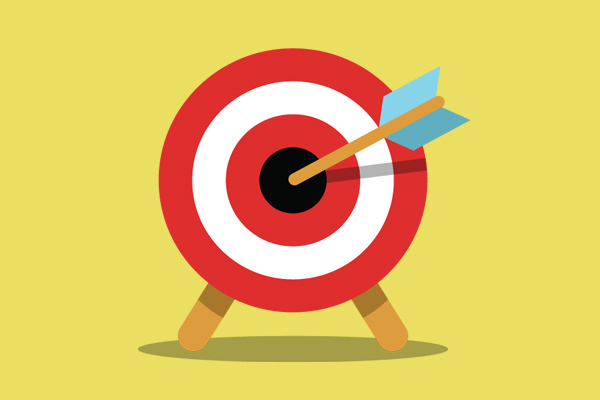 There are quite a few factors to consider when making the decision to purchase or outsource. Ultimately, you need to figure out which factors are the most important to you in order to make the final decision. If you have any questions regarding whether purchasing outsourcing is the best option for you, please contact our technical specialist for a free consultation.